'Mama Kin' performed for the first time. 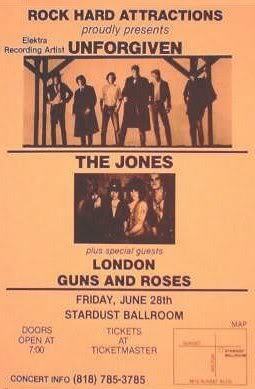 Our first gig back in L.A. was on June 28, 1985, at the Stardust Ballroom, our eats of Highway 101. They had a club night called Scream. It had started as a Goth night; Bauhaus and Christian Death were the most popular acts the DJ played. 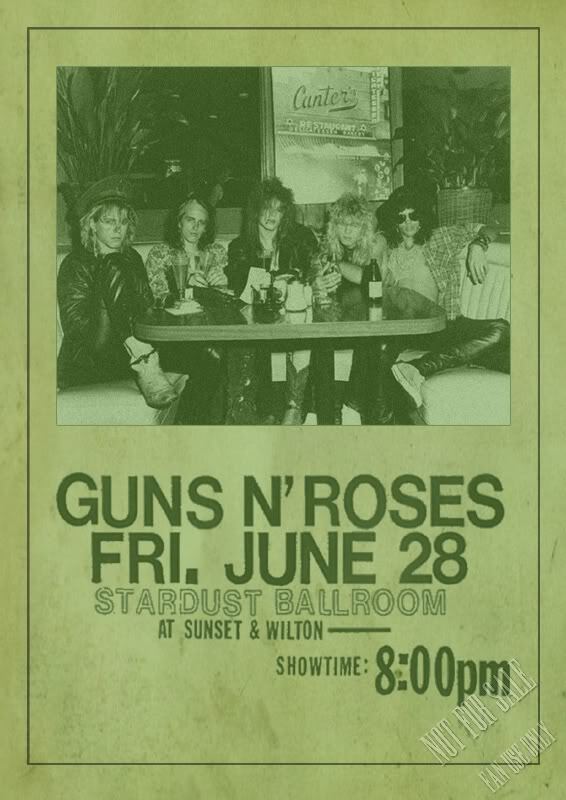 We were at the bottom of a four-band bill and had to go on stage at 8 p.m. [Duff's autobiography, "It's So Easy", 2011, p. 87].